Check in time is 4:00 pm. Early Check-In from 12:30 to 3:00 pm may be available for $35, subject to Inn’s confirmation. Main St. Entrance Electronic Lock. 1. 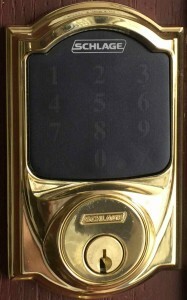 Click SCHLAGE button to display the keypad. 2. Enter your 4-digit pin code emailed a day prior to your arrival. 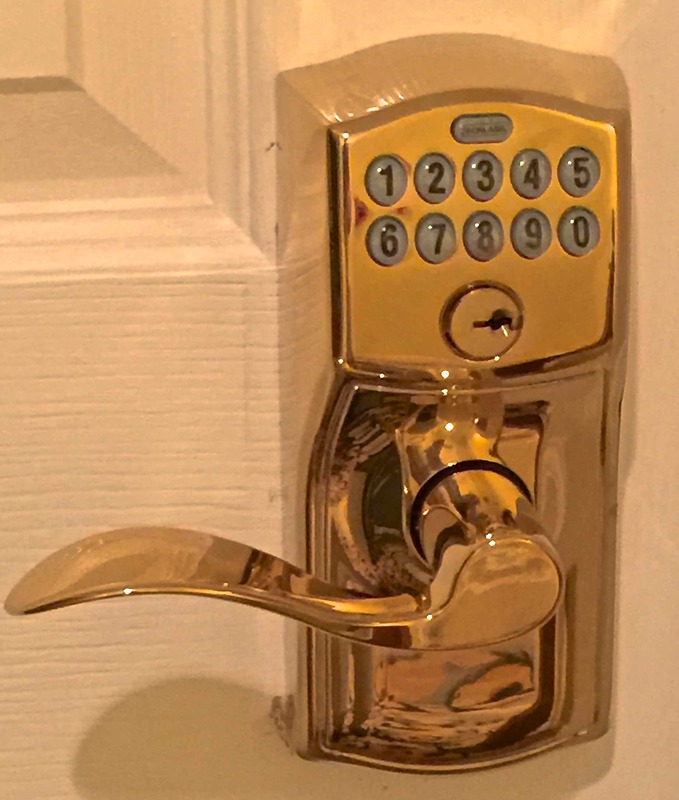 Rooms at the Inn are keyless and uses a 4-digit pin code self check-in. To avoid delays, please read your confirmation email or the reminder email sent to you a day in advance. There is no Front Desk. Take the elevator to the 2nd or 3rd Floors. Check-in time is 4:00 pm; check-out time is 11 am. There is no special procedure to follow for CHECK-OUT. Late Check-out until 1 pm may be available for $35, subject to Inn’s confirmation. Only Registered Guests Allowed in Rooms. Local law requires that all guests, including children must be registered. You will receive a reminder email a day in advance to ascertain the names of occupants. Guest rooms are not rented for parties or visitors. Billing & Receipts.To facilitate our EZ check-in process, all charges will be processed to credit cards prior to arrival. Receipts will be emailed the night before departure so guests can verify charges before leaving the property. Please don’t forget to leave your beach tags!